If you have trouble in answering any of these question, click on this PRESENTATION to find out. On Thursday 6 November, the round table : “Supporting Social Investments; The Enlargement Perspective” organised by the IRIS Network, SOLIDAR, ASB South East Europe (SEE) took place in the European Parliament involving MEPs Knut Fleckenstein (S&D), Ivo Vajgl (ALDE), and Eduard Kukan (EPP), representatives of DG Employment and Social Affairs Thomas Bender and DG Enlargement – Henk Visser, and the representatives of the European Economic and Social Committee – Ariane Rodert and Social Services Europe – Luk Zelderloo. The main questions for debate concerned the EU Enlargement strategy and its contribution to the creation of the necessary legal frameworks for civil society organisations providing social services in the Accession Countries. Knut Fleckenstein, MEP and President of ASB, stressed that Western Balkans countries will need strong EU support to introduce the necessary reforms in preparing for EU membership. Participants from the IRIS Network highlighted the measures that will need to be put in place, in order to strengthen the social dimension of the EU Enlargement process and to enhance the socio-economic transformation of Accession Countries. Good practices were presented that showcase how civil society organisations are working to advance social cohesion and active inclusion in the Western Balkans. As a reflection on this Ms Ariane Rodert emphasised the importance of the accessibility of funding programmes earmarked for the region. 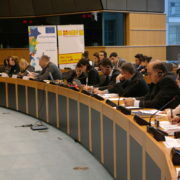 In addition, SOLIDAR Annual Monitoring report on the EU enlargement was launched where SOLIDAR presents policy recommendations on how to foster social inclusion and support social investment in the Western Balkans region. The following recommendations have been designed in response to the European Commission’s Progress reports on the Enlargement Strategy and Main Challenges 2014 – 2015, on October 8. A universal and inextricable approach to social, economic and political rights should be put in place to guarantee equal opportunities, fight discrimination and build cohesive societies. Accession Countries should provide assistance for those who can work to enter or re-enter and stay in employment that best relates to their capacity to work. Accession Countries should ensure that proper social support is given to those that require it, in order to promote social and economic inclusion. Accession Countries should strengthen national lifelong learning programmes aimed at personal, social and professional fulfilment, whilst promoting democratic values, active citizenship and intercultural dialogue. 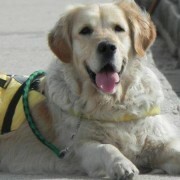 The long-standing use of the medical model in the approach towards persons with disabilities (PWDs) in which they are passive observers of their lives, people in need of protection, care and concern has led to a large number of problems that these people encounter, as well as with high level of discrimination toward them. This kind of comprehensive protection usually means that these persons are constantly in isolation depending on others, or in some special institutions. IRIS network member Association of Youth with Disabilities of Montenegro is dedicated to providing support, opportunities and programs to strengthen the personal, educational and professional development of young people with disabilities. Their mission is to provide these young people a chance to become independent members of the society. 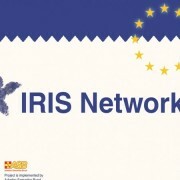 Throughout the received grant form IRIS and in cooperation with Ministry of Labour and Social Welfare. they developed practical policy for implementation, financing and improvement of personal assistance service. This will be used in future as a tool for addressing the needs of students and persons with disability and their quality support through the PA service in Montenegro. Government institutions of Brcko district are providing most of their services to children and youth (25%) and people with disability (20%) and only 10 % of these institutions are providing help to senior citizens without family care. In the case of civil sector, organisations are mostly focused on providing services to persons with disability which is the case for around half of the CSO, and only 17% of them are dealing with children and youth. These are just some findings of the project implemented by IRIS network members Youth Center “Vermont”, an association for helping mentally undeveloped people and „Step of hope“ Brod during September and October 2014. The focus of the action was mapping and finding best ways for the use of mutual resources and partner in delivering social services in Bosnia and Herzegovina. One of the main activities was the research which will be the basic tool in creating conditions for the establishment of day care centers for people with disabilities in Brcko District and Brod, BiH. Children and youth with disabilities in small communities all over Serbia are doomed to spend much of their free time inside their homes, depending totally on their parents and other family members. Day care centres where they can socialize, learn and play are very expensive, so not many small municipalities have financial recourses and human capacity to establish these kinds of centres. In municipality Vrnjacka Banja, Iris member organization “The Association of Parents of Children with Disabilities” is the only organization that gathers and addresses to this specified social group. They were founded in 2011, with financial support of the EU Delegation, first Day care centre in Vrnjacka Banja which provides care of the children during the weekdays, for a period of eight hours, with the provided transportation and meals. At the moment Day care has 20 beneficiaries with physical, mental and development problems, with light, moderate and multiple disabilities, autism and Down syndrome. However, at the moment the service does not have a license that is defined by law as precondition for selection of the Association as the provider of social services. With the project supported by the IRIS network, this organization succeeded to adapt and renovate the space, rooms for personal hygiene and also to improve infrastructural conditions. These repairs made possible for the Association to meet minimum standards for licensing, so now finally children in Vrnjacka Banja will have a place for themselves. The Kosovo society remains deeply patriarchal and even hostile towards sexual minorities. Even though Kosovo is one of only ten European states to have constitutionally banned discrimination against these minorities, society is very much close minded when it comes to their rights. People who dare to “come out” are, in most cases, kicked out of their family homes, or, among other, subjected to some form of treatment to cure their “sexual illness”. This is all a consequence of the widespread believe that LGBT people are deviant or suffer from mental illness that needs to be cured. Constant repression towards members of this community often results in their pulling back in closed, under the radar, circles, or in some cases, even asylum seeking. Iris network supported the project “Diversity week” and its member QESh, which is a NGO that advocates for the rights of the LGBT community in Kosovo. Amongst other activities throughout the project, they raised visibility of LGBT individuals organizing concert, art exhibitions, monologue performances, open panel discussions, workshops with experts, health activities, as well as film and documentary screenings, including a documentary currently in production by QESh. People from various backgrounds including artists, youth, university students, health care providers, and experts from different fields are now more connected and the LGBT community is more present. Their project brought together representatives not only of LGBT community and NGO sector, but also government institution to discuss the importance of improvement and development of different kind of social services to this community. Most importantly, questions about the need for safe houses and shelters for people who are being kicked out of their homes and excluded from their families, where raised. Statistic information on domestic violence in Montenegro remains inaccurate. There is still no national strategy or data, and each of the responsible institutions addresses this problem differently. Woman and children, vicims of violence, are forced to seek help from different, mainly non-governmental organization and services. Female service assistance and support in Montenegro have a key role in empowering victims and providing intensive care and support. SOS hotlines proved to be the ost effective initial support to these victims, having over 30 000 phone calls annually. There is still no national SOS hotline, even though this is envisaged in all relevant UN and EU documents. SOS telephone Niksic, member of the IRIS network, received funds to advocate for a free National helpline for domestic violence and violence against women in order to influence much needed reforms in this field. SOS telephone Niksic, with three more partners from towns of Ulcinj, Bjelo Polje and Berane and in close collaboration with all relevant ministries in Montenegro, developed and adopted a Rule book on operation of the first national helpline in Montenegro. Additionally, the, work group of these organizations became partner of the Government in all future decision-making processes considering reforms in this field. Psychotic disorders are treaded mostly in relevant facilities, but when these patients go out of the hospitals, they often face difficulties in adjusting and reintegrating into the community. Myths and prejudices against the mentally ill are deeply rooted, and negative attitudes may be present with the officials’ involved in the treatment and rehabilitation of such persons. This may adversely affect the attainment of certain rights, inadequate treatment and the occurrence of other discriminatory behaviour. The role of NGOs in providing services is important, but limited due to lack of cooperation with experts in the field of mental care, and the activities are often not coordinated, long-term planned and sustainable. The Croatian Iris network member “Little Sparrows”, offers different support programs for patients and their families to improve their health care and also they are an important link that connects institutional forms of assistance and other mental health informal support programs. The Network funded their project which aimed at reducing the negative attitude towards psychiatric patients in all segments of the society. Throughout the project, members of Little Sparrows organized activities with different government stakeholders in order to exchange their experience and knowledge in this area. They influenced not only the officials, but also wider public with various shows, theatrical performances and media appearances in which patients with different kind of psychiatric disorders had main roles. Roma are the most numerous minority group in BiH, with the estimated population of 50-60,000 people. Around 70 per cent of Romani cannot provide for their basic physical existence, while 90 per cent do not have the necessary documents enabling free health care and protection. Even though in Bosnia 1,5 million EUR is allocated annually for implementation of “Action Plan for Roma in the field of housing, employment and health care” no significant improvements were made particularly because local municipalities don’t know how to address the needs of this population. Roma NVOs are the only ones who have the knowledge and experience in this field. With the funds provided by the IRIS network, “Euro Rom”, created the Guidelines for municipalities which will become a tool for them in quality implementation of the Local Action Plans. This will finally allow the proper allocation of resources and the resolution of some of the biggest problems faced by Roma in Bosnia.